Supportworks of Ontario has authorized Supportworks specialists that create and offer solutions to Ontario homeowners and businesses for structural and foundation repairs. Have questions? Just let us know and we will be happy to explain what is wrong and how we will fix it...we are here to help. If you are dealing with residential or commercial foundation problems and reside in Peterborough, Barrie, Orillia or nearby give us a call. Spray foam trench breakers provide solid, durable support. Identifying & repairing issues related to foundation wall failure. 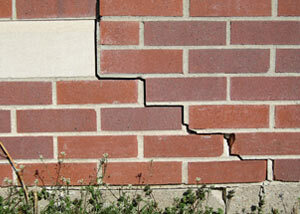 Identifying the cause of foundation wall cracks and how to repair them. Our company has the advantage of working directly with leading geotechnical and structural engineering firms. Our professionals are highly-trained and available for pre-construction consultations with engineers to discuss plans and proposals for foundation repairs in greater detail. At the start of construction, our company will work with structural engineers and specialists to make sure your residential and commercial foundation repair projects meet all the industry standards and specifications. Supportworks of the Greater Ontario province customizes and modifies their equipment to meet the specific needs of their clients and projects. "I am confident I'll never, ever have to call you again." "David Bunn was a competent, personable rep for the company..."
Supportworks of Ontario is committed to providing safe and efficient structural foundation, trench breakers, and basement wall repair, designed by experienced foundation engineers, all while limiting further changes to the client's property. Our goal is to exceed our client's expectations by providing top quality structural repairs. Our company's experienced contractors serve Greater Toronto, Ontario providing foundation inspections and free, no cost, no-obligation estimates in the area. Our foundation repair contractors provide structural repairs at an affordable price in Toronto, Mississauga, Brampton, Barrie, Whitby, Owen Sound, Ajax, Pickering, Markham, Richmond Hill, Newmarket, Oshawa, and nearby areas.